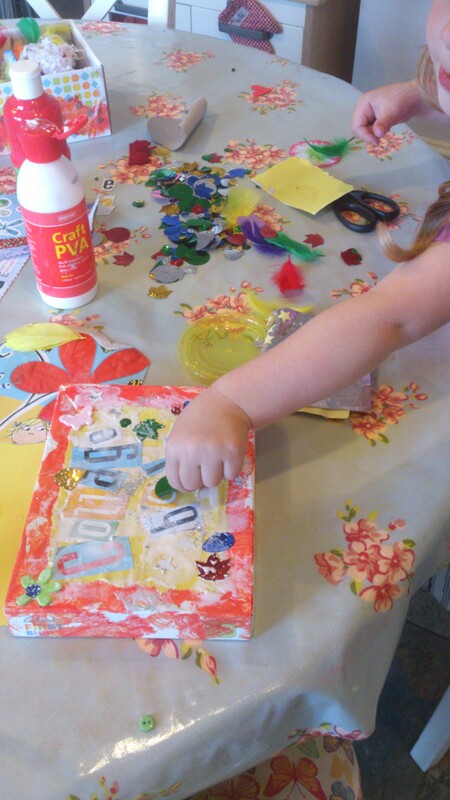 EASY art and craft for you and your toddler. 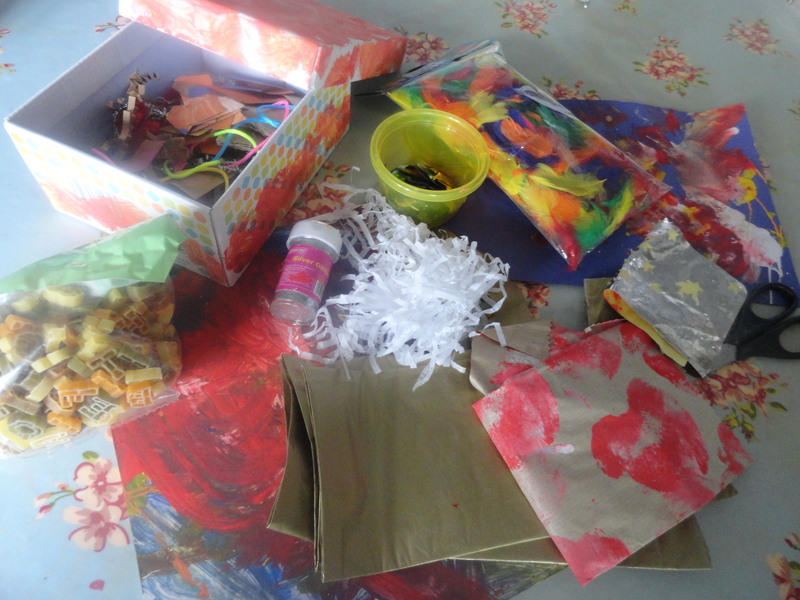 Putting together your own special box for collaging. Yes, you can buy lovely shiny jars full of exciting craft things, sheets of sparkling stickers, special kits, coloured paper and a whole host of other paraphernalia to use to make a collage with your child. Go through old magazines together. Have a theme in mind if you like (animals, under the sea, smiley people, flowers, insects, anything green/pink/blue, food etc), and ask your child to find relevant pictures. Older kids can help you cut them out, younger children can have fun finding them: Keep each “theme” in a different envelope if you’re the super organised type, or just use it as a one-off activity before you stick them down to make a picture. Remember me telling you not to throw away finger paintings? Well this is one reason why. 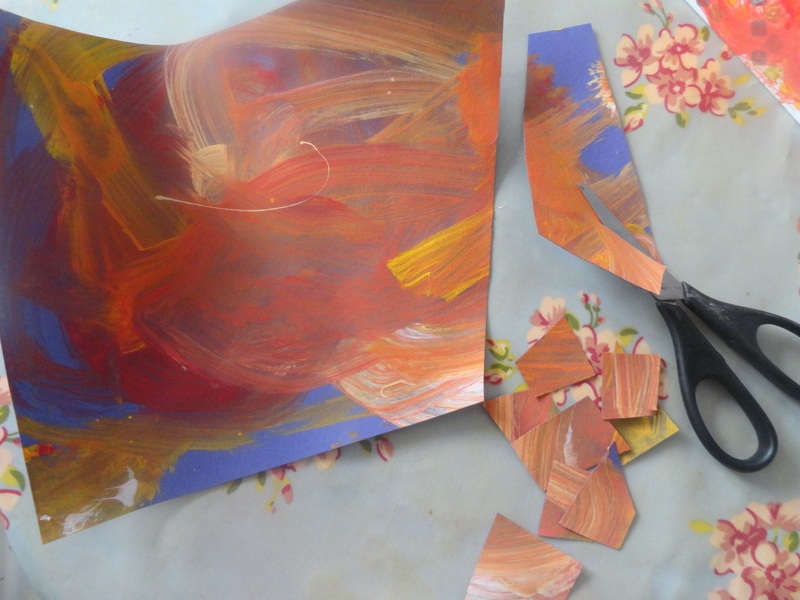 Chop them up and keep the most colourful pieces! Great for collaging. Dried food such as pasta shapes, lentils and rice. You know those annoying ribbon loops in the shoulders of new clothes? I always chop them out and keep them in the collage box. Left over bits of wrapping paper. Bits of bubble wrap, shredded paper, polystyrene shapes, tissue paper – all found in packaging. 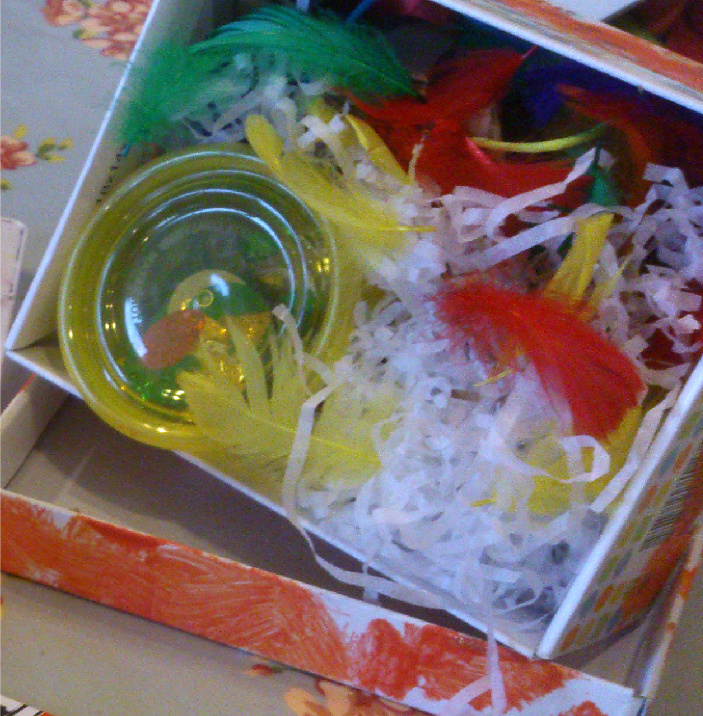 Scraps of material, bits of string etc. Cut out characters from children’s magazines. You get the gist? And those were just the free ideas – we also have glitter and sequins and a few other shop bought bits, but the point is, anything goes really. What will you be putting in yours? Maybe you do this already and have some other suggestions? Do let me know. 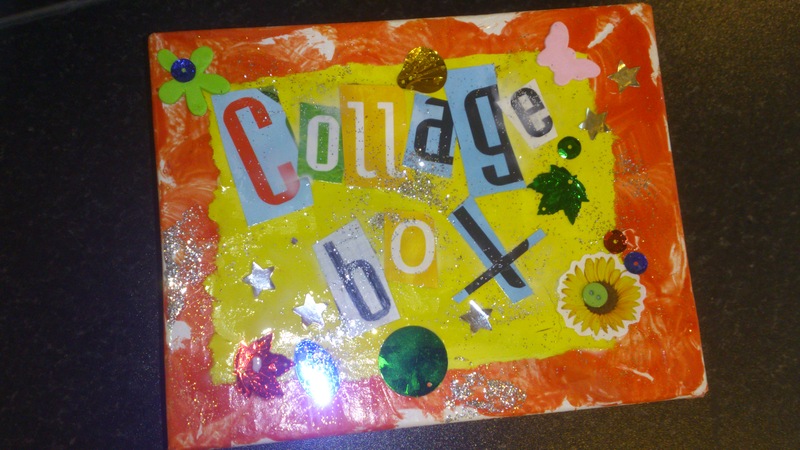 Now for an activity this weekend – how about decorating your Collage Box together? This entry was tagged collage, collage box, collage kit, toddler. Bookmark the permalink.